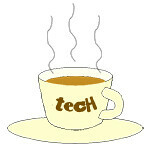 EXPO « Tech bytes for tea? From Thursday this week, the final of the four large annual IT exhibitions in Singapore will take place for four days (28 Nov – 1 Dec) at the Singapore EXPO, in Halls 4B-6. SITEX 2013 will open daily from 11 am to 9 pm (Admission FREE). SITEX 2013 @ Singapore EXPO (Halls 4B, 5 & 6) from 28 November – 1 December. Admission FREE, daily 11am to 9pm. This year, SITEX comes closely on the heels of the new kid on the block – the Consumer Electronics Exhibition (CEE) which ended on 3 November. For SITEX 2013, I’ll be compiling selected promotions and flyers from the exhibitors in a photo album on the tech4tea.com Facebook page. ASUS Desktop/AIO/gaming PCs, notebooks, tablets, monitors, networking equipment, headphones, media players, projectors. Printers and inks: Inkjet/laser/photo printers: ImageClass, LaserShot, PIXMA; scanners; projectors. Fuji Xerox Multifunction laser and S-LED mono/colour printers for personal/SOHO/SME/Corporate use. Jabra headphones, headset and portable Bluetooth speakers. nubox Apple products and accessories. Olympus cameras – compact, ruggedised and mirrorless interchangeable lens four thirds shooters. Plantronics earphones and wireless headsets. SanDisk SSDs, thumb drives, and memory cards. Seagate portable/desktop backup hard disk drives. tech@vogue Gallery Computer tablets & accessories. WD portable/desktop hard disk drives, personal cloud storage, media players. You can browse the album or directly access a specific flyer via the list of links above, which I will update over the next few days, as the embargoes are lifted. Jabra will be at COMEX 2013 at Singapore Expo in Hall 6, Nubox Booth 6106 and Starhub Booth 6701. Check out the promotions and discounts from Jabra for COMEX 2013. Click to view/download enlarged view. Check out discounts for Jabra’s three star buys for the Revo Wireless, Sport Wireless+ and Stone 3. In conjunction with Jabra being the Official Headphone Sponsor for 1 World Music Festival, Jabra will give away a pair of 1 World Music Festival Tickets with every purchase of the Jabra Revo Wireless (limited to first 20 purchases only). HP will be at SITEX 2012 at Hall 6 Booths 6B01 and 6E10 in the Singapore EXPO. Other HP computers to check out include the HP ENVY 4 TouchSmart Ultrabook, HP Pavilion Sleekbook, as well as the HP ENVY 23” and 20” AiO PCs. Also check out HP’s printers, such as the HP LaserJet Pro 200 M276nw Color MFP and the HP Officejet 6700 Premium e-All-in-One printer. Click to view or download SITEX 2012 promotions for HP printer supplies, including ink, toner and paper. My favourite is the HP Photosmart 7520 e-All-in-One printer, which is equipped with HP’s wireless direct printing featureand allows users to print from any Wi-Fi-enabled mobile device, such as smartphones, tablets and laptop computers without the need for network or internet connections. Click to view or download SITEX 2012 promotions for HP accessories including mouse, keyboards, headsets, speakers, bags and webcams; as well as software. Lenovo will be at SITEX 2012 at Hall 5 Booth 5C40 (Courts), and Hall 6 Booths 6C30 (Harvey Norman) and 6D30 & 6F18 (Newstead) in the Singapore EXPO. Check out Lenovo’s promotional offers for tablets, notebooks, ultrabooks, convertibles, AIOs, desktops, and accessories. These include the IdeaPad G480 laptop and the recently launched Windows 8 Lenovo IdeaPad Yoga 13 Ultrabook-tablet convertible, and ThinkPad Twist S230u convertible. My favourite is the Yoga. Accessories include wireless mouse, speakers, headphones/headsets, USB hubs, and accessories for ThinkPads and IdeaPads. Samsung will be at SITEX 2012 at Hall 4B Booth 4B10; Hall 5 Booth 5B20 (Audio House), 5C30 (Courts), 5G30 (Gain City); and Hall 6 Booth 6D20 in the Singapore EXPO. Samsung is fielding its wide range of computers, cameras, printers, smart TVs and home entertainment systems. Samsung will be selling its wide range of products at this year’s SITEX 2012. Check out its promotions for Windows 7 and Windows 8 notebooks and tablets; as well as printers, cameras, Smart TVs and home entertainment systems. Click to view or download promotion brochures/flyers. ASUS will be at SITEX 2012 at Hall 5 (Booths 5A18, 5B10 & 5B40) and Hall 6 (Booths 6C01, 6C10, 6D30 & 6E30) in the Singapore EXPO. Check out ASUS’ promotional offers for tablets, notebooks, ultrabooks, convertibles, AIOs, desktops, Alienware gaming machines, and monitors. ASUS ROG – built for gamers. These include the slew of recently-launched Windows 8 computers such as the ASUS TAICHI Ultrabook-tablet convertible, Transformer Book, ZENBOOK, VivoBook, VivoTab, All-in-One PCs. My favourite is the ASUS ROG (Republic of Gamers) gaming desktop PCs which are debuting in Singapore during SITEX 2012. There’s also the innovative PadFone 2 smartphone-tablet hybrid. Dell will be at SITEX 2012 at Hall 6, Booth 6D01 in the Singapore EXPO. Check out Dell’s promotional offers for notebooks, ultrabooks, convertibles, AIOs, desktops, Alienware gaming machines, and monitors. My favourite is the XPS 12 convertible, with its innovative screen that can be swiveled to become either regular Ultrabook or a tablet computer. Seagate will be at SITEX 2012 in the Singapore EXPO with resellers Bell Systems (5D60), Cybermind (5G60), Harvey Norman (6B20), Million Tech (6G50), and Newstead (6B10). Click to view or download Seagate promotions for SITEX 2012. Check out Seagate’s SITEX 2012 discounts and bundled freebies for its range of portable and desktop hard drives, as well as its GoFlex home media sharing and Backup Plus desktop drives. Walk away with a 3-night holiday for 2 to the Maldives, or win Seagate storage drives, Apple iPhone 5 and iPad 3. To enter, complete the Holiday Happens Online sweepstakes form available here. Also, Seagate Technology has been named an International CES Innovations 2013 Design and Engineering Awards Honouree for the Seagate Backup Plus family of external storage drives. This prestigious programme is judged by a panel of industrial designers, engineers and media to honour outstanding design and engineering in consumer electronics products across 29 product categories.